*Seating capacity is approximately 10 in the highest season. In the end of March-April and New Year Holiday, sometimes it will be 12 people maximum. *If you add Kimono wearing, additional fee is 3000yen per person. You would like to have tea ceremony experience in small number of people. Not only watching the demonstration, but also you would like to join the authentic tea ceremony as a guest. 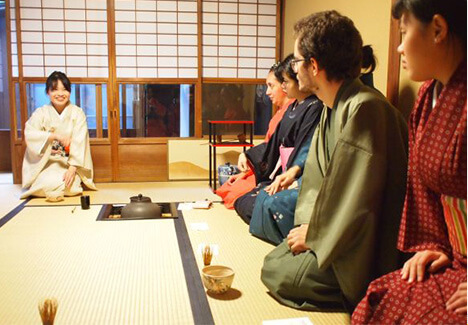 You would like to learn the proper way of joining tea ceremony as a guest, more than just turning the tea bowl twice. You would like to see and use the beautiful tea utensils which represents each season. *in case you come alone, the price is 8640yen. ★Photographers: you can take photos of artistic fresh sweets and during the way of tea also. ★Special occasions such as birthday or honeymoon. ★In case you come with small children under 6years old.0-5years children are free. I can prepare hot water for milk and pretty joint mats for babies. 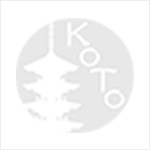 Tea Ceremony Koto is the supporter of Kyoto city for raising children. ★Manager of VIP: you can relax in a tea room without paparazzi. 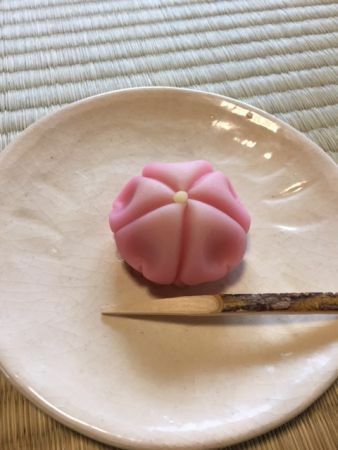 ★Sweet tooth; You can try special traditional sweets. We think Japanese sweets are not too sweets and very healthy. It’s made of natural ingredients. *If you come alone price will be 15000 yen. And time is 10:00-11:30 or 16:30-18:00. Not only tea ceremony, but also you would like to learn other Japanese cultures such as kimono, and Ikebana (Japanese flower arrangement). A guide for small group tours. If the number of the guests is over 7, I highly recommend joining this plan. You are also interested in kimono, traditional textiles, Japanese flower arrangement, and fresh sweets.